One of the greatest enemies of skin is dryness. It can make skin lose its suppleness or trigger overproduction of oil. 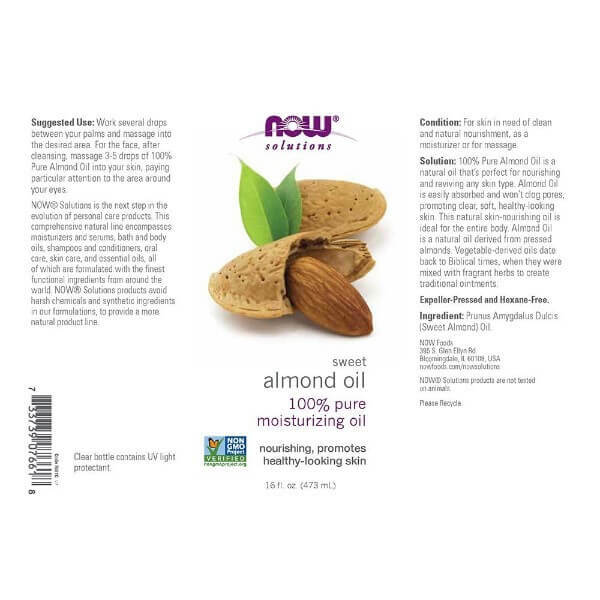 NOW Foods Sweet Almond Oil helps control both, making skin healthier and softer to the touch. Good skin care products maintain skin health while protecting it from damage. 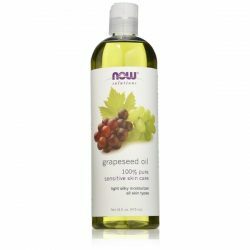 This oil is rich in moisture and nutrients that are good for all skin type. Sweet almond oil is extracted from edible almonds. It has a sweet taste and has great uses for skin and hair care. There are many cultural uses for this oil as well. During Biblical times, mixing argan oil with herbs is common. The mixture creates an ointment used for various purposes. This is due to the moisturizing effects of the oil. It soothes dry skin and alleviates symptoms of skin conditions such as psoriasis and eczema. What makes sweet almond oil suitable for skin care is that it is easy to absorb, making it light on skin. It penetrates the skin easily without clogging the pores. NOW Foods sweet almond oil is good for moisturizing face and body. It promotes beautiful blemish-free skin. Since the oil is absorbent, it does not build up on the skin to cause clogging of the pores. The oil replenishes moisture and nutrients that slow down aging to keep skin looking young. NOW Foods is a brand that promises to produce a line of high-quality natural products. 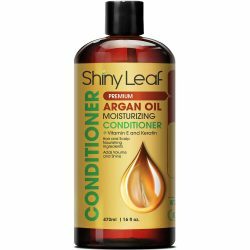 Their sweet almond oil does not contain any type of harsh chemical or synthetic ingredients that can dilute the effects of the oil or make it harmful for users. It is safe and gentle to apply to all skin types. This all-natural oil helps fade the appearance of dark bags and tired skin too. Use it as a moisturizer or mix it with other skin care products for added moisturizing effects. 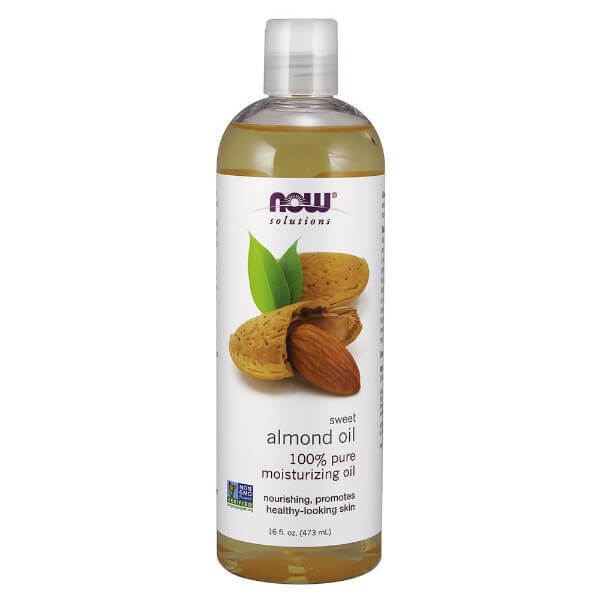 NOW Foods Sweet Almond Oil works as a massage oil as well. Natural extracted oil that is gentle for all skin types. For best results, use as indicated. 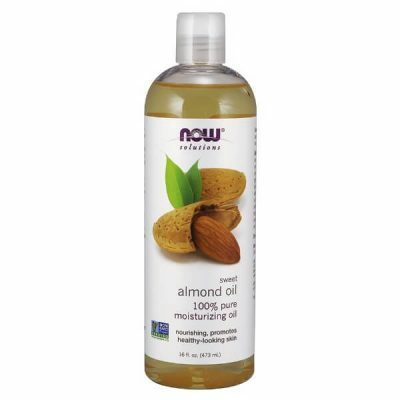 Cleanse face with a gentle face wash. Use 2-3 drops of almond oil. Apply to face and massage using circular motions. Apply to areas around the eyes. Leave it on until fully absorbed. Use a cotton pad or soft face towel to dab off the excess oil left on skin. Mix it with other skin care products for added moisture and nourishment. Use daily to get noticeable results in a few weeks.